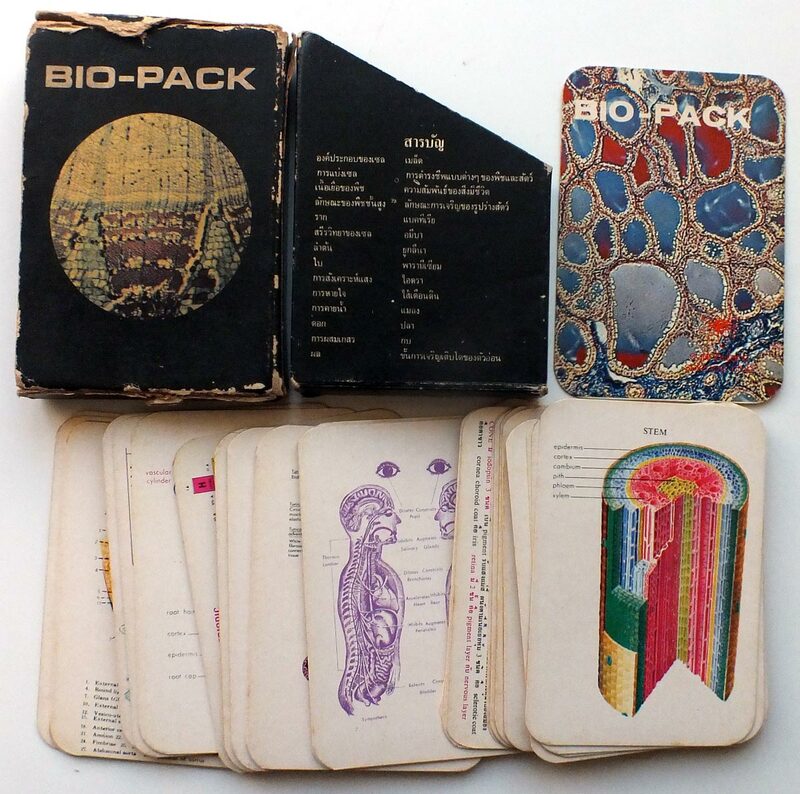 Bio-Pack biology flashcards produced for Thai students. 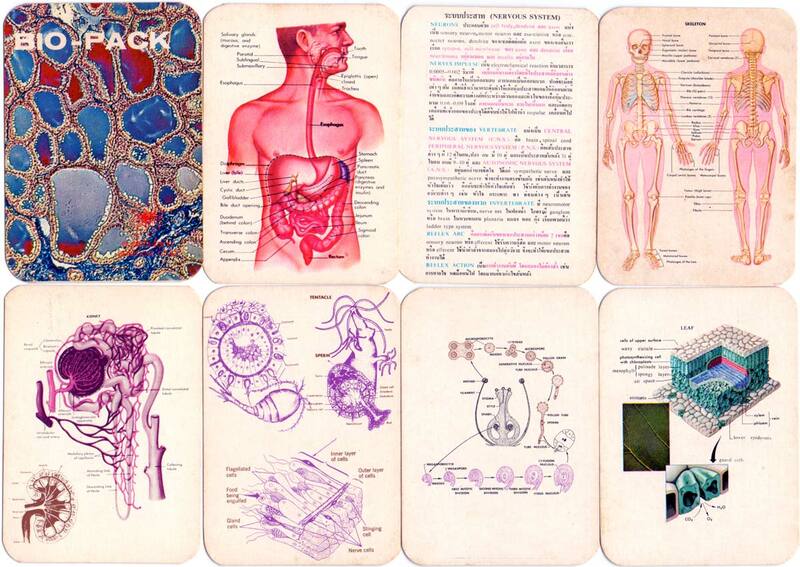 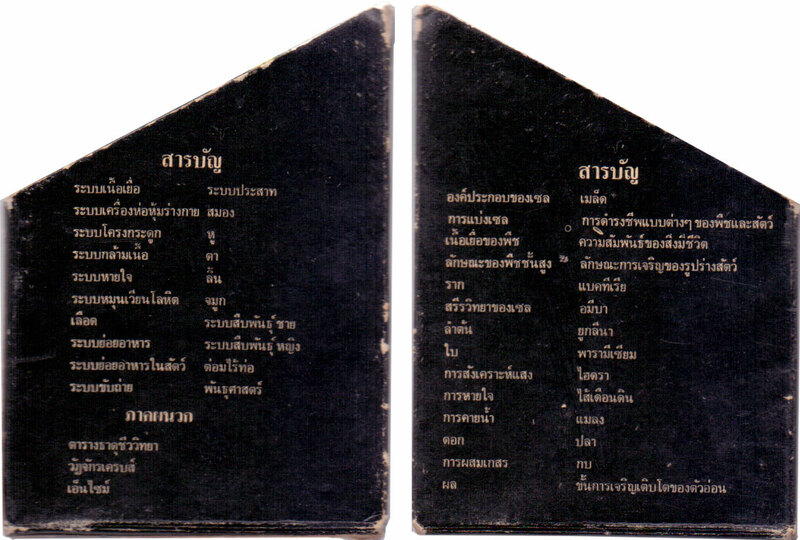 The fronts of the cards show biological illustrations of anatomy, cell structures and respiratory systems etc, with the backs giving the key facts in Thai language about digestion, circulation and so on. 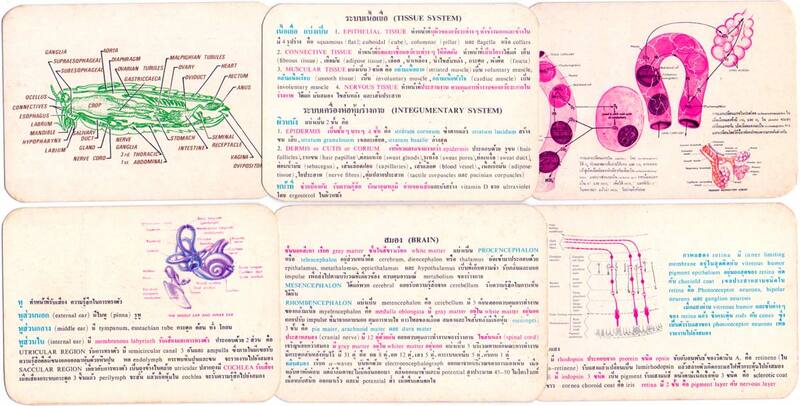 Above: Bio-Pack biology flashcards produced for Thai students. 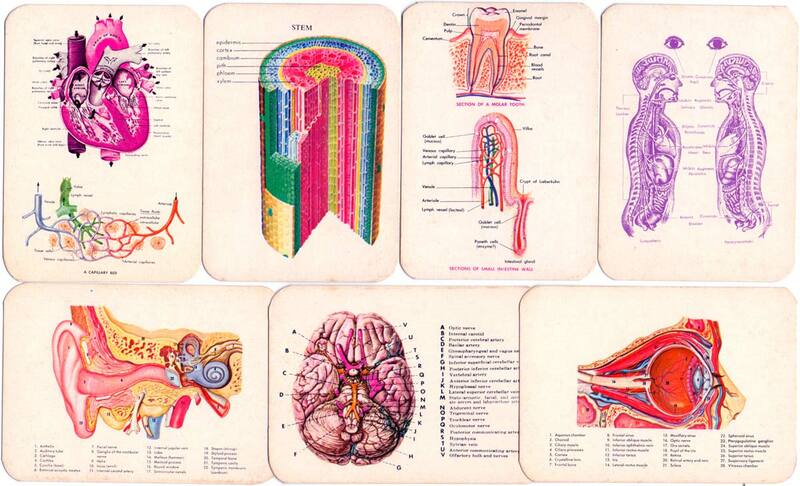 48 cards in box, unknown publisher.